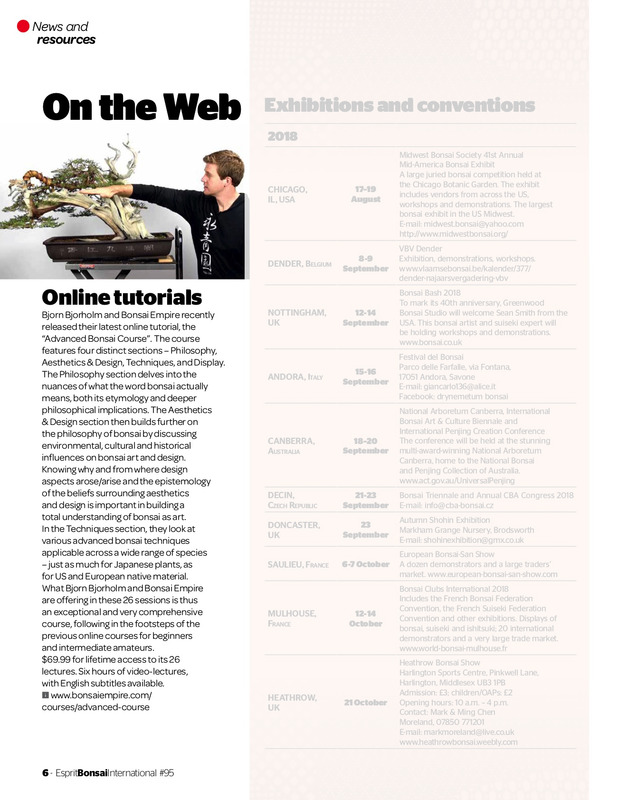 Learn about the most advanced Bonsai techniques and Bonsai display! 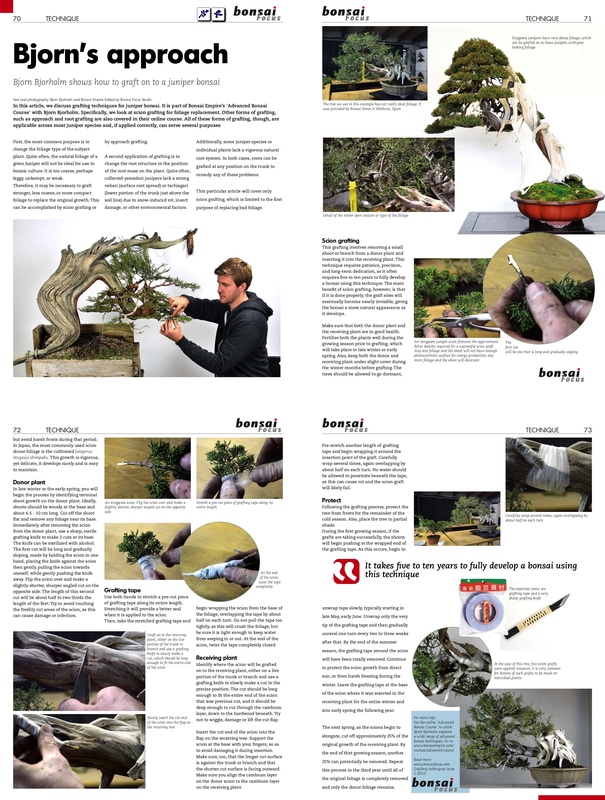 Introducing the Advanced Bonsai Course 2, the long awaited sequel with more in-depth content than ever. Instructor Bjorn Bjorholm guides you through the long-term impact of techniques on a wide variety of tree species. 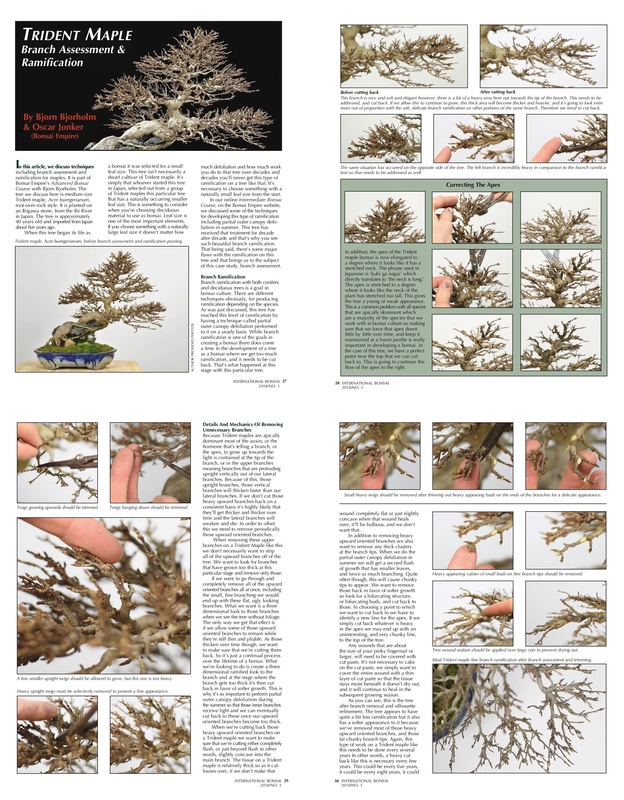 Learn about pad creation for exhibition, branch splitting on conifers and establishing a great Nebari with air-layered deciduous material. Understand how to fertilize trees in different stages and the effects of macro and micronutrients on plants. But this course is not exclusively about advanced techniques. 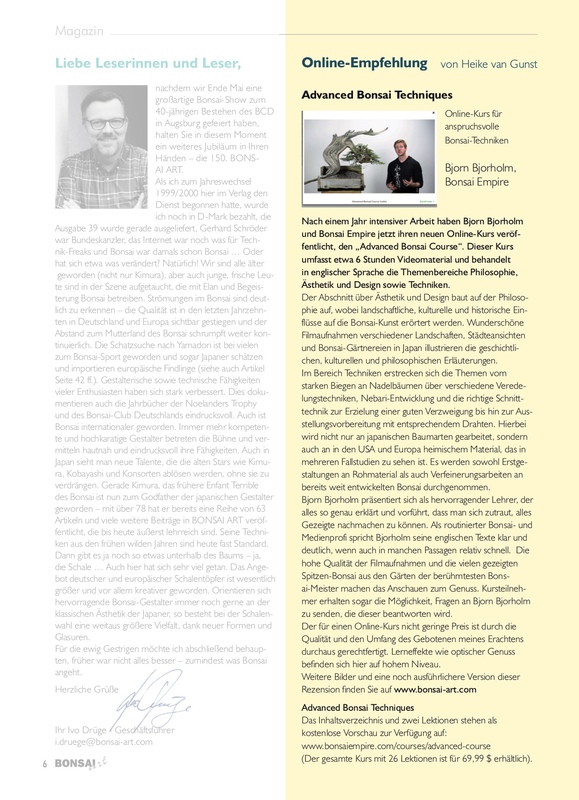 It also discusses the aesthetics of traditional and contemporary Bonsai display, from the tokonoma to the exhibition hall. With almost 6 hours of lectures, this is one of the most extensive courses we've ever created. 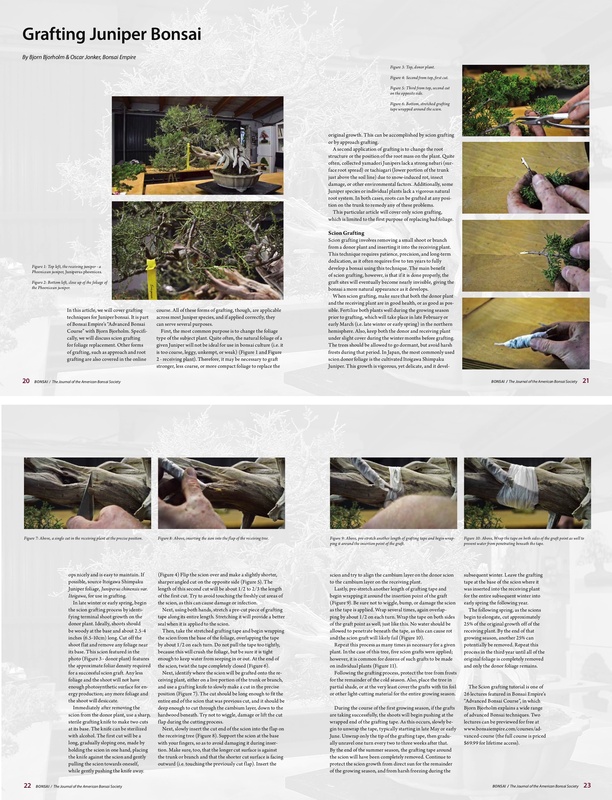 The teacher guides you through the long-term impact of techniques on a wide variety of tree species. 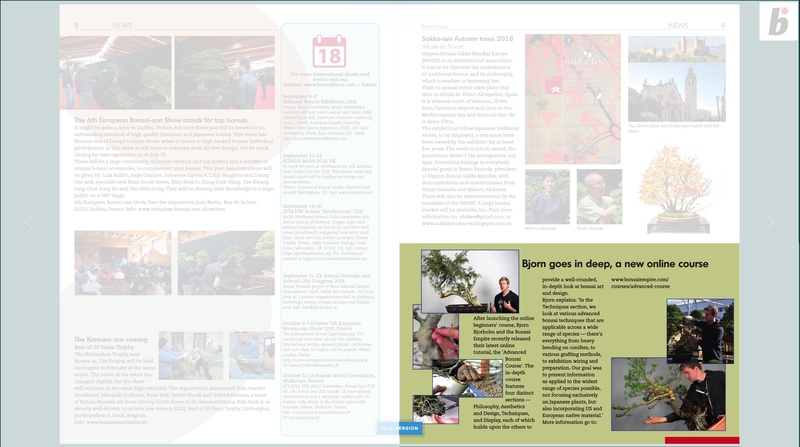 Topics include pad creation, branch splitting, establishing a Nebari and Bonsai display. Watch the free preview lessons above for a taste of the content! After enrolling in the course, you will always have unlimited online access to all the lectures and to the learning materials, on any computer, tablet or mobile device you own. English subtitles will be available on all lectures soon. It is a completely self-paced online course. We accept Credit cards and PayPal. 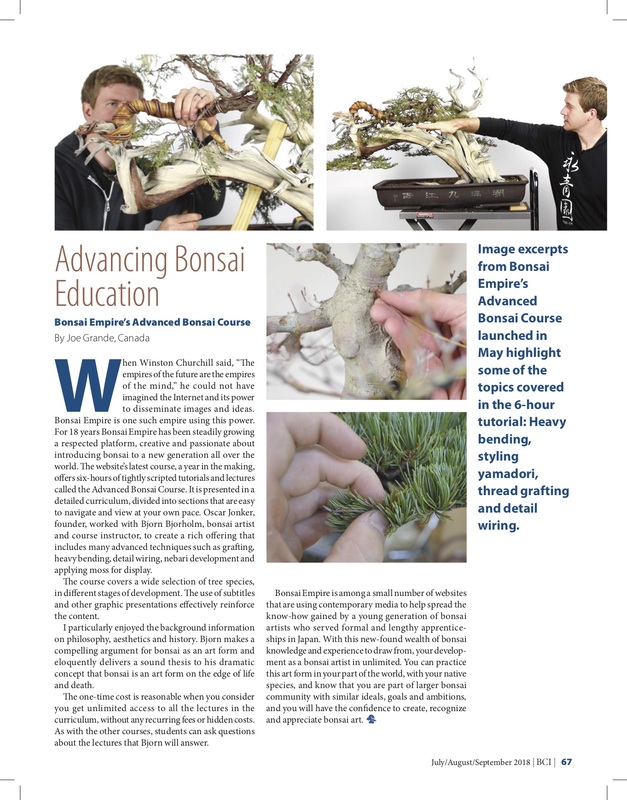 This course continues where the "Advanced Bonsai Course 1" ended; we assume you have a solid understanding of Bonsai techniques and are ready for a deep-dive.